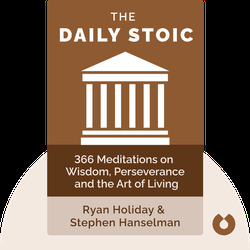 The Daily Stoic (2016) is a collection of daily meditations drawn from the wisdom of the Stoic philosophers who lived in the Roman Empire. The writings of Emperor Marcus Aurelius, the playwright Seneca and slave-turned-philosopher Epictetus all provide thoughtful material for the authors to refashion and refresh. These blinks promote self-reflection, while encouraging the reader to value serenity and life itself. Ryan Holiday is an American author, media strategist, marketer and entrepreneur. He courted controversy as director of marketing at American Apparel, but has since turned to self-education. His writings have appeared in the Columbia Journalism Review and Psychology Today. His previous books include Trust Me, I’m Lying and The Obstacle is the Way. Stephen Hanselman is a publisher and literary agent. He studied at Fresno Pacific University and obtained a Master’s degree from Harvard Divinity School. 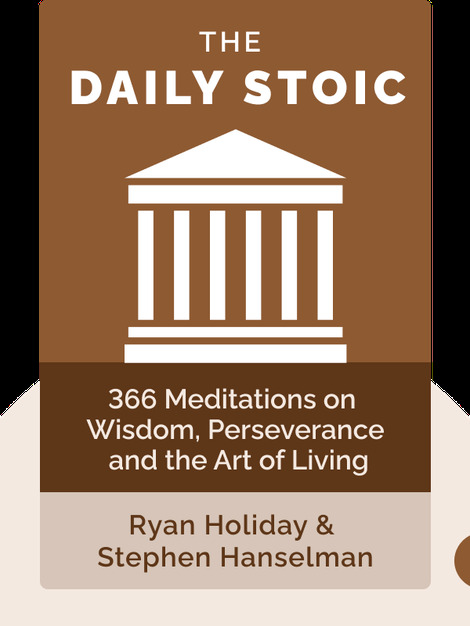 The Daily Stoic is his first book as an author.